Cambium – What’s Behind the Name? 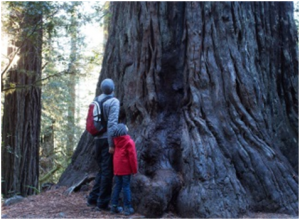 When naming the Cambium Wellness Center, our desire was to have a purpose-filled identity… something that spoke to new growth, health and vitality occurring naturally. The word “Cambium” is central to our purpose and vision. Cambium is a thin layer of cells located in the stems and roots of woody plants, such as trees. This plant tissue is what makes the trunk, branches and roots grow larger, thicker and stronger as the cells actively divide and multiply to form new layers of tissue. The phloem or inner bark, which is found between the cambium and the outer bark, acts as a food supply line by carrying nutrients from the leaves to the rest of the tree. 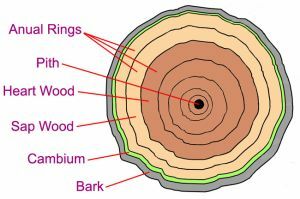 The cambium annually produces new bark and new wood in response to hormones that pass down through the phloem, which stimulates growth in cells. This naturally occurring process of new growth reflects our goals in opening the Cambium Wellness Center. In supporting and achieving balance within and strengthening the body, we can help clients grow stronger and healthier. Are you ready to reclaim your health and wellbeing? Call today to speak with our Personalized Wellness Assistant. We are dedicated to teaching and supporting individuals in building their health naturally. Our consultants see clients of all ages, and can provide you with a customized natural health program to meet your individual needs. Contact our office for details.